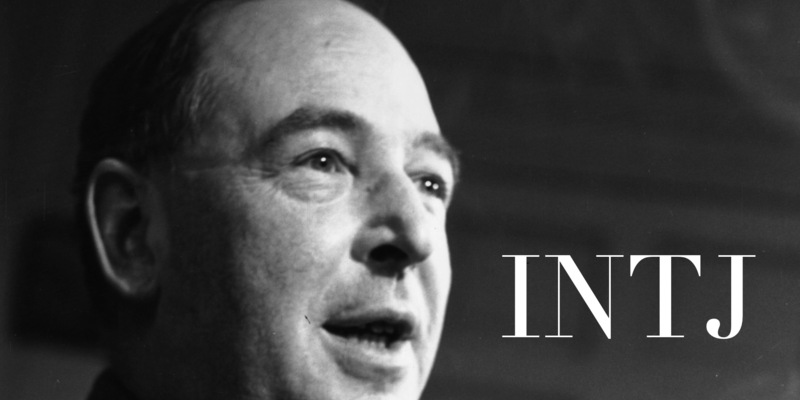 Dominant Ni: C. S. Lewis had a relatively narrow set of interests, primarily focusing on academic topics and especially medieval and Renaissance literature. A high school tutor told Lewis’s father that Lewis could become a scholar, but little else. Symbolism was important to Lewis: his favorite genres of literature (epic poetry, fantasy, and science fiction) were filled with it. He infused a great deal of very blunt symbolism (NiTe) into his own fictional works, especially the Chronicles of Narnia. Many of his other works are philosophical in nature, and C.S. Lewis was fond of discussing ideas with the Mastermind group that he engineered as a college student (the organisation part of this would be Te). Auxiliary Te: Lewis rejected Christianity as a teenager because he believed that he saw no evidence for it. As he grew older, he began to realise that his personal experiences pointed away from philosophical empiricism, although he thought that reason pointed toward it. He later wrote that his conversion to Christianity as an adult served the practical purpose of resolving the tension between his experience and his reason. In his apologetic works, he tended to rely on rational arguments to the point that some critics complained about his books’ lack of emotional content. Lewis could be very blunt when asked for advice. Tertiary Fi: Lewis was very reserved about his personal life. His strained relationship with his father was, in part, caused by his father’s tendency to demand a greater emotional closeness than Lewis was able to give. Once, when his father tried to read a list of a young Lewis’s “good resolutions,” Lewis fought until he managed to shove the piece of paper into the fire. Lewis retained many habits of privacy throughout his adult life: he did not think of informing most of his friends of his marriage to Joy Davidman Gresham until after the wedding. Lewis’s rejection of Christianity was based on his personal beliefs, not outside influence, and when he began the process of converting to Christianity, he kept the changes in his belief system private for some time. Despite his strong belief in the importance of participating in communal worship, he struggled to appreciate church services, initially preferring private religious experience. Inferior Se: Lewis could be overwhelmed by physically stimulating environments: as a young boy, he regarded party invitations as deliberate attempts to make him miserable. As an man, he was able to enjoy the company of other adults, but the noise and busyness of children left him exhausted. Lewis loved nature, however: his earliest experience of “joy” (transcendental longing) occurred when his brother made a miniature forest of natural materials on a biscuit tin lid. In recalling life in the house his father owned for most of his childhood, he focused on its physical features: “I am a product of long corridors, empty sunlit rooms, upstairs indoor silences, attics explored in solitude…” As a teenager and later an adult, he loved to go for walks outdoors in order to enjoy the scenery. When he had trouble resting, he often lulled himself to sleep by picturing imaginary landscapes in his mind. Tolkien is already in the schedule, and it’s likely that a large quantity of my readers are going to be surprised about his type, so I’ve also done a follow-up post to clarify a few things.